Welcome to Board Watch for WCCUSD’s April 13th Meeting! At this week’s meeting, the West Contra Costa Unified School District Board of Education was presented with the results of the selection process for a new PK-5 mathematics textbook for the upcoming school year. The Board also recognized El Cerrito High School’s Basketball team for winning the 2016 North Coast Section, Division 2 championship, in addition to recognizing the five recipients of the West Contra Costa Public Education Fund’s Teaching Excellence Award. Drew Kravin, Mathematics Department Program Specialist, presented the board with an overview of the selection process, results, and recommendation for a new PK-5 Math Textbook for the 2016-17 school year, My Math by McGraw Hill. 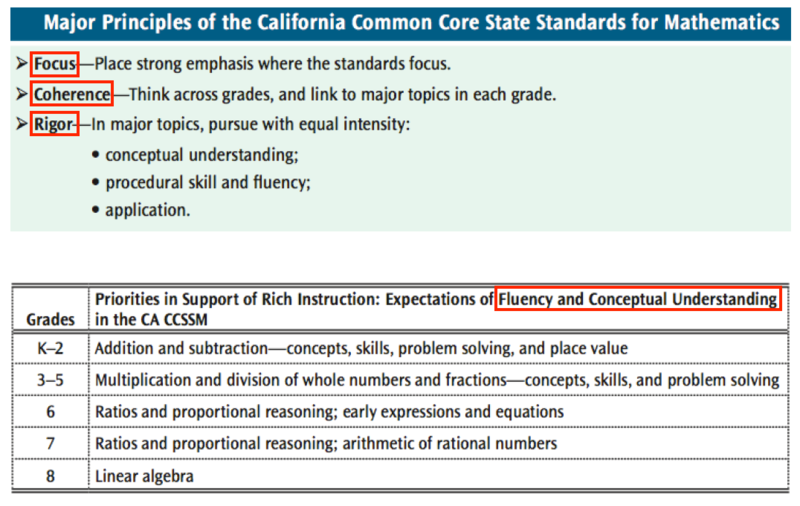 Context: Math textbooks are a valuable resource when implementing the new California Common Core standards. The principles that guide these standards and the textbook selection process are focus, coherence, and rigor. The slide from the district’s presentation below summarizes these principles and provides an overview of the mathematics concepts students are expected to understand and apply in grades K-8. Thus far, the district’s professional development for math teachers has focused on our state’s Common Core-aligned Math Framework for California Public Schools. Selection Process: The textbook selection process was driven teacher perspectives. Phase 1 — Blind Review: Beginning in October, teachers representing every school in our district participated in a blind review of different textbook options. In the blind review, teachers rated sample units, lessons, and materials from each textbook based on a rubric. Content identifying the textbooks’ brands were whited out, so that teachers could focus solely on content while reviewing the options. Phase 2 — Field Testing: Based on the results of Phase 1, two publishers advanced to Phase 2 in October and February. During this period, teachers field tested a full set of classroom math materials by trying out lessons and units and participating in surveys to share their perspectives. Through winter and spring, teachers and community members were also given opportunities on other occasions (at professional development meetings) to view and provide feedback on the two textbooks. Final Selection: Data analysis showed that of the two options, McGraw Hill’s My Math consistently received higher ratings. To deepen understanding of the textbook’s effectiveness and application, the Math department then consulted with other school districts currently using the resource as well as EdReport.org’s independent analyses of My Math. Feedback from other districts and WCCUSD teachers indicated high levels of support for the McGraw Hill textbook. In particular, many remarked on the textbook’s wealth of materials and supports for English Language Learners. Voting: Board member Val Cuevas motioned to approve the textbook adoption; Liz Block seconded. The school board voted unanimously to pass Cuevas’ motion. Why It Matters: Those who most directly impact our students’ learning experiences – teachers – were key drivers of this selection process. 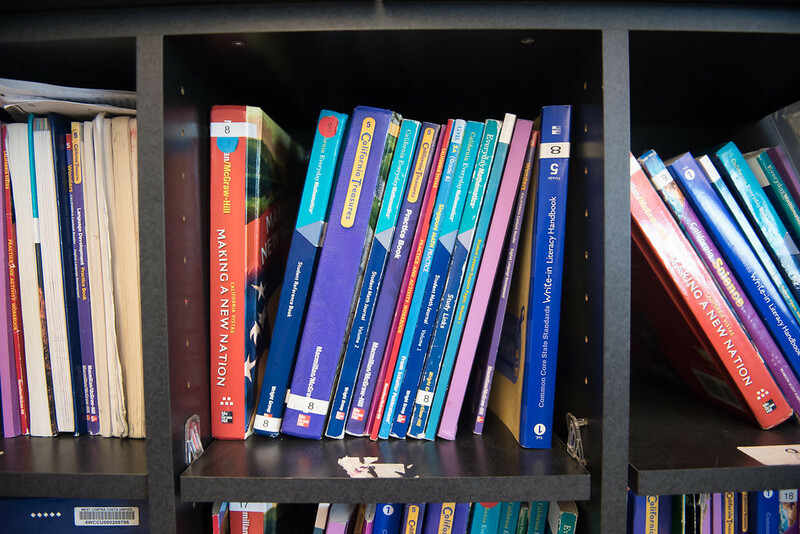 The scores show that the district’s textbook recommendation, McGraw Hill’s My Math, is in alignment with teacher perspectives. Further, the textbook will support our students and schools’ journey in mastering and meeting Common Core standards, which ultimately better prepare our children for success in college and career. Click here to view the full PK-5 Math Textbook Adoption for 2015-16 Presentation.